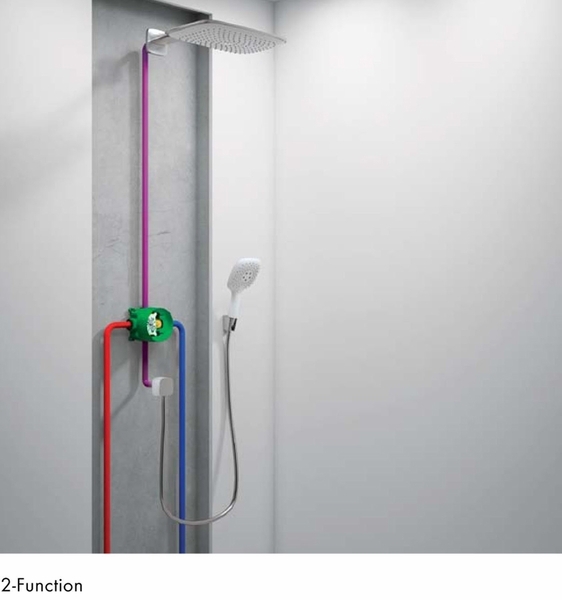 With high function at an unbeatably low price, the Hansgrohe Universal Plus Rough-In 3/4 Inch iBox with Service Stop is a real must have. 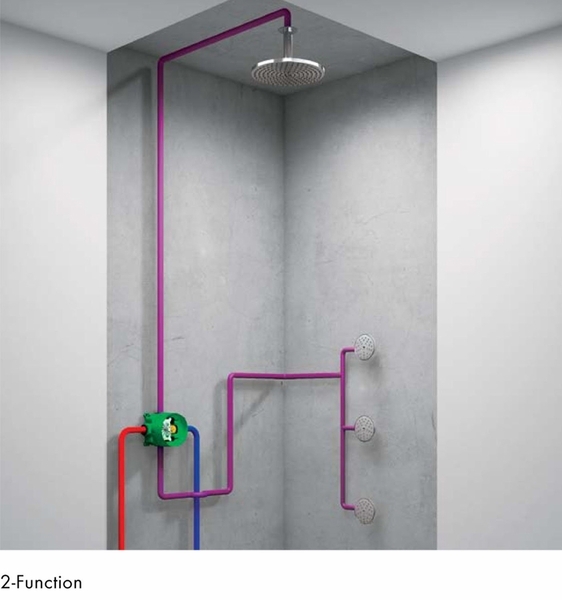 As a required rough for installation of Hansgrohe's Raindance Rainfall Shower head (model number 28411001), the Universal Plus Rough features four ports with service stops for a concealed installation. 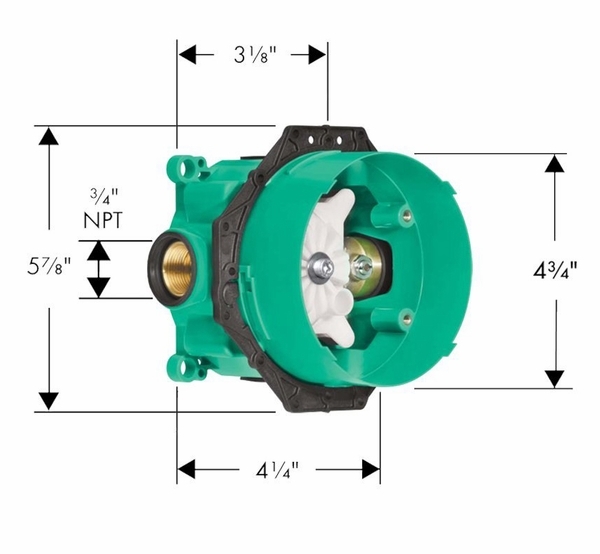 The Universal Plus Rough iBox with Service Stop is easy to install, and provides a water tight seal as well as noise reduction. 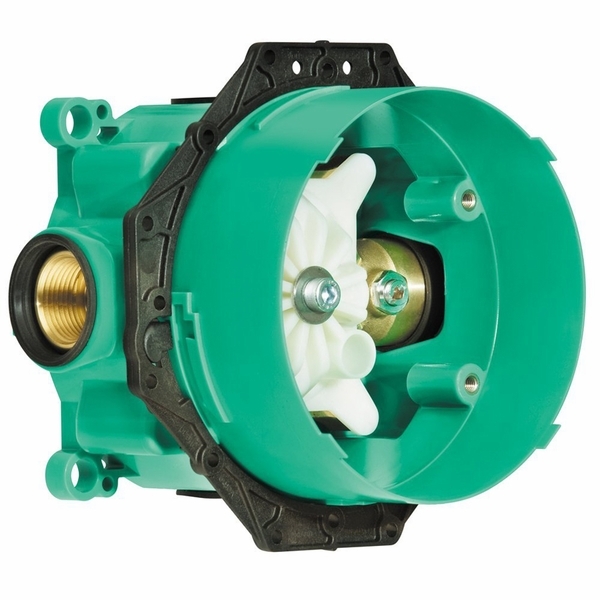 This rough-in can be used with a one inch extension kit, model number 13595000, which is sold separately. 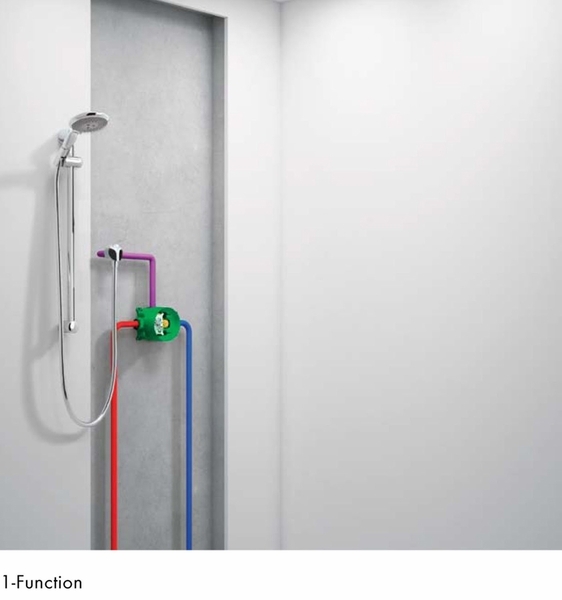 The Hansgrohe Universal Plus Rough provides long lasting durability and a sturdy construction that won't let you down. This really works great. Our contractor said that everything is very easy to install. I have received them quickly from the buyer. I am just good with all of these. 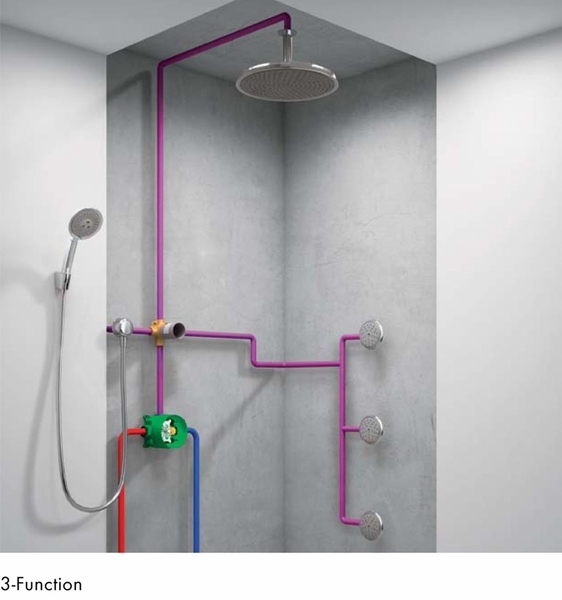 I have installed three of these for our remodeling, and they really worked great. Make sure to give attention to the depth in which it is installed. The deeper you can install it, the cleaner the output of the look is since the handles sit more flush together with the trim.